An apology is owed to all Zooniverse volunteers; We incredibly underestimated the Zooniverse Community’s ability to mobilize for the Sunspotter Citizen Science Challenge. 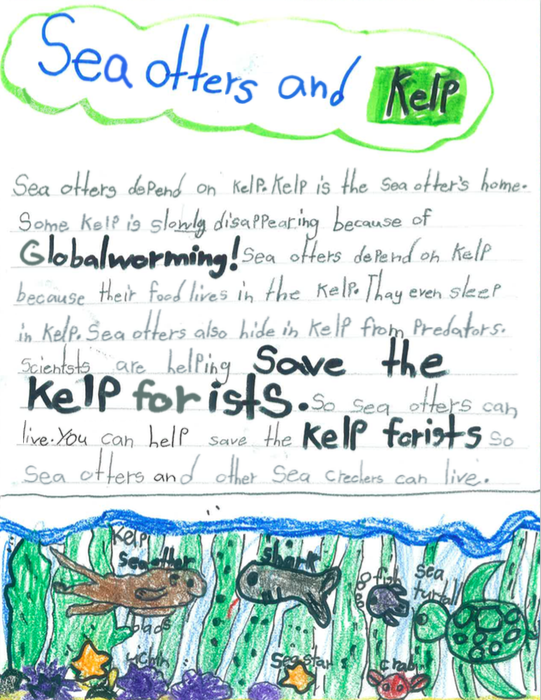 You blew our goal of 250,000 new classifications on Sunspotter in a week out of the water! It took 16 hours to reach 250,000 classifications. I’ll say that again, 16 hours! By 20 hours you hit 350,000 classifications. That’s an 11,000% increase over the previous day. By the end of the weekend, the total count stood at over 640,000. Let’s up the ante, shall we? Our new goal is a cool 1,000,000 classifications by Saturday September 5th. That would increase the total number of classifications since Sunspotter launched in February 2014 by 50%! P.S. Check out the Basics of a Solar Flare Forecast on the Sunspotter blog from science team member Dr. Sophie Murray. Calling all Zooniverse volunteers! As we transition from the dog days of summer to the pumpkin spice latte days of fall (well, in the Northern hemisphere at least) it’s time to mobilize and do science! Our Zooniverse community of over 1.3 million volunteers has the ability to focus efforts and get stuff done. 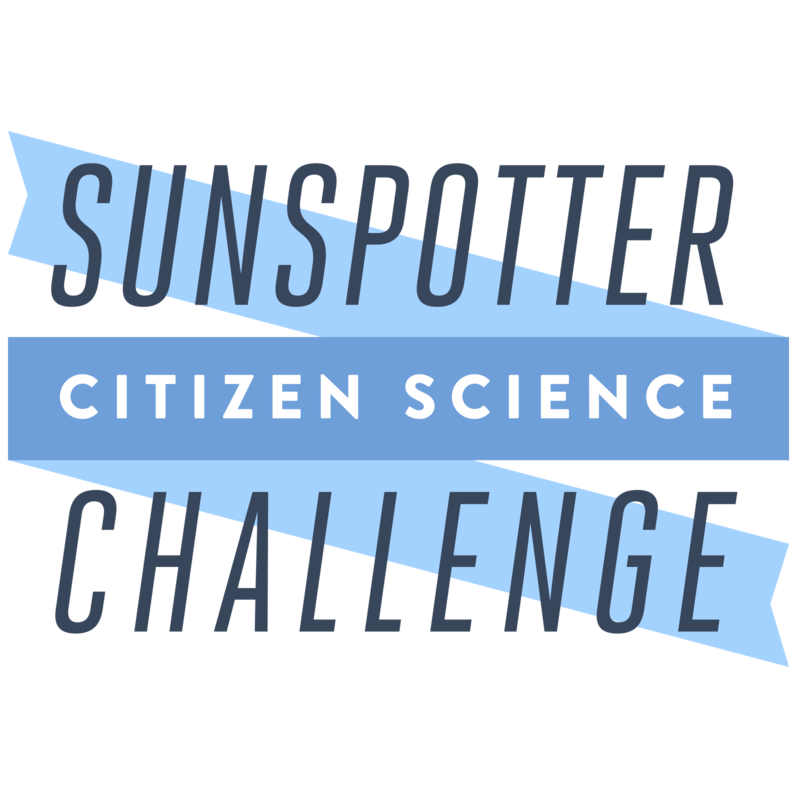 Join us for the Sunspotter Citizen Science Challenge! From August 29th to September 5th, it’s a mad sprint to complete 250,000 classifications on Sunspotter. 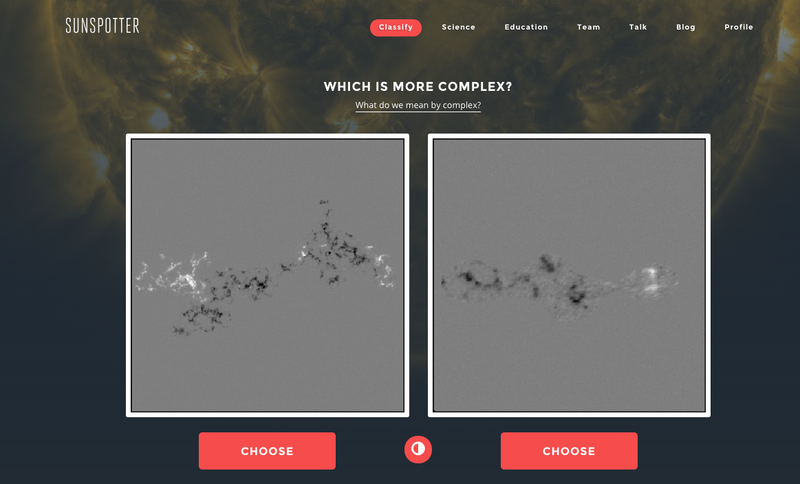 In order to achieve these goals, volunteers like you compare two sunspot group images taken by the Solar and Heliospheric Observatory and choose the one you think is more complex. Sunspotter is what we refer to as a “popcorn project”. This means you can jump right in to the project and that each classification is quick, about 1-3 seconds. Let’s all roll up our sleeves and advance our knowledge of heliophysics! Julie A. Feldt is one of the educators behind Zooniverse.org. She first came to us in Summer 2013 as an intern at the Adler Planetarium to develop and test out Skype in the Classroom lessons and ended up joining the team the following winter. Julie was the lead educator in the development of the Planet Hunters Educators Guide. 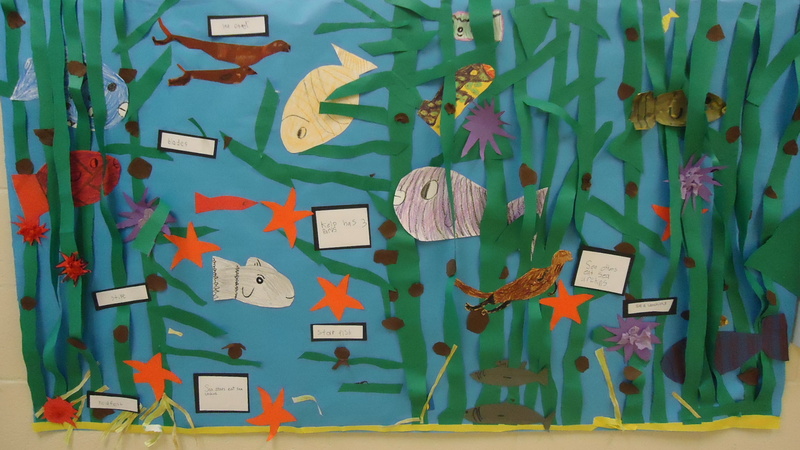 Here she shares some information on the development and contents of this resource. 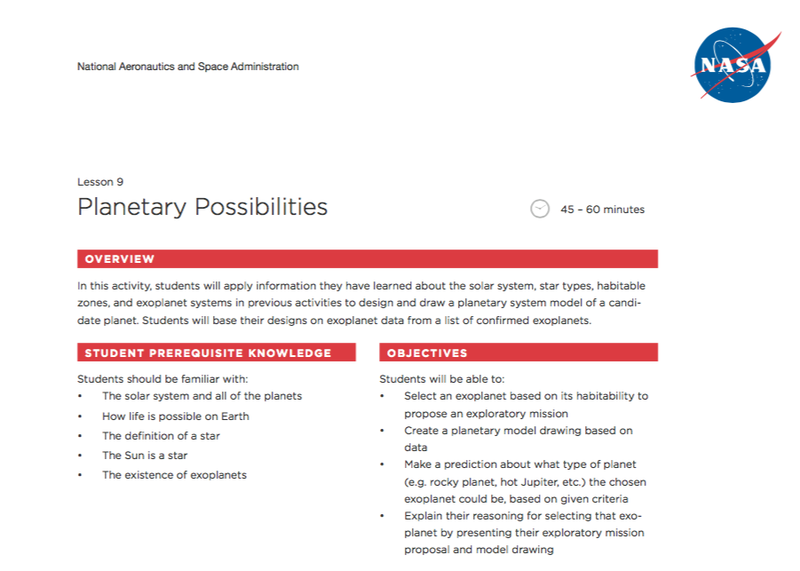 In collaboration with NASA JPL, we have developed the Planet Hunters Educators Guide, which is 9 lessons aimed for use in middle school classrooms. This guide was developed for each lesson to build upon each other while also providing all the information needed to do them alone. Teacher can choose to do one lesson on its own or the entire collection. Each lesson was planned out using the 5E method and to be accomplishable in a single 45 to 60 minute class period with some Evaluate sections as take home assignments. In development we focused on the science behind Planet Hunters and utilized JPL’s Exoplanet Exploration program and tools from PlanetQuest in order to connect with our partners in this field. Through this guide, we want to introduce teachers and their classrooms to citizen science, exoplanet discovery, and how the science behind the Planet Hunters project is conducted. Lesson 1 starts by acquainting the class with what citizen science is and looking at several projects, mostly outside of the Zooniverse. This lesson is great for teachers who just want to talk about citizen science in general and therefore it encompassesmany different types of citizen science projects. The rest of the lessons go into the understanding of exoplanets and using Planet Hunters in a classroom setting. We wanted to give teachers the lessons they may need to build student understanding of the research and science done in Planet Hunters. Therefore, Lessons 2 through 5 focus on developing knowledge of possible life outside our solar system, the methods used to discover new worlds, and what makes those worlds habitable. 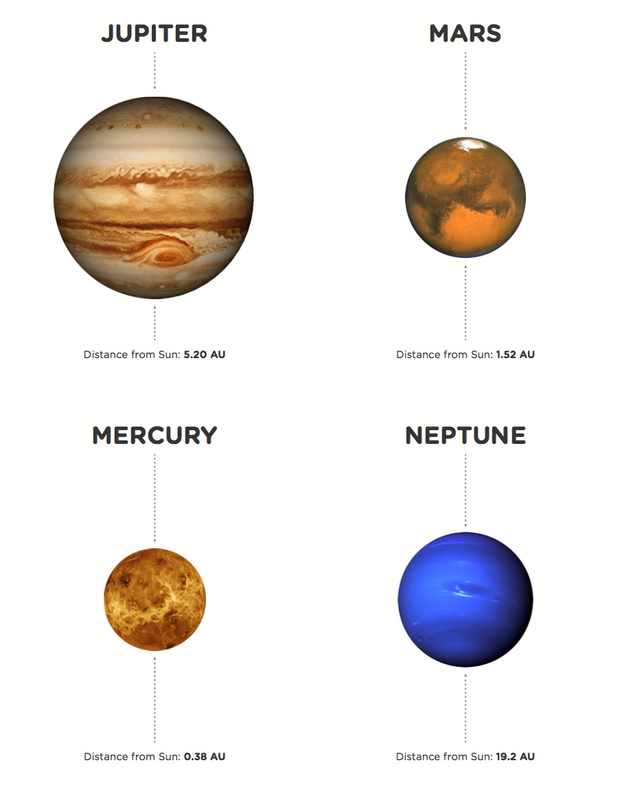 For instance, in Lesson 2 students explore our own solar system with consideration of where life as we know it, directing them to the idea that there may be a habitable zone in our solar system. The students are asked to break up into groups to discuss how each of the planets compare with consideration of their location . 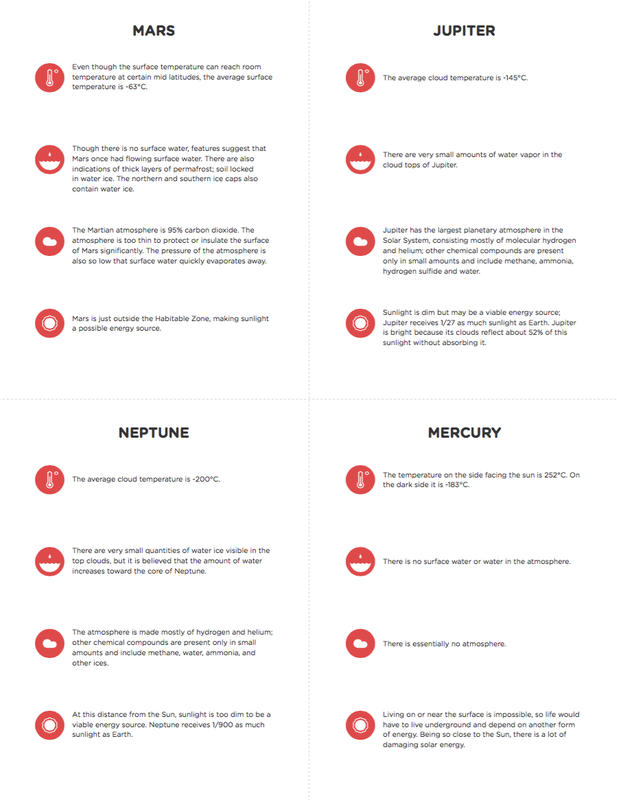 We provided solar system information cards, see an example below, for students to be able to determine the conditions necessary for life as we know it to develop and survive. Lesson 6 is purely about getting students acquainted with Planet Hunters, specifically how to use it and navigate the website for information. 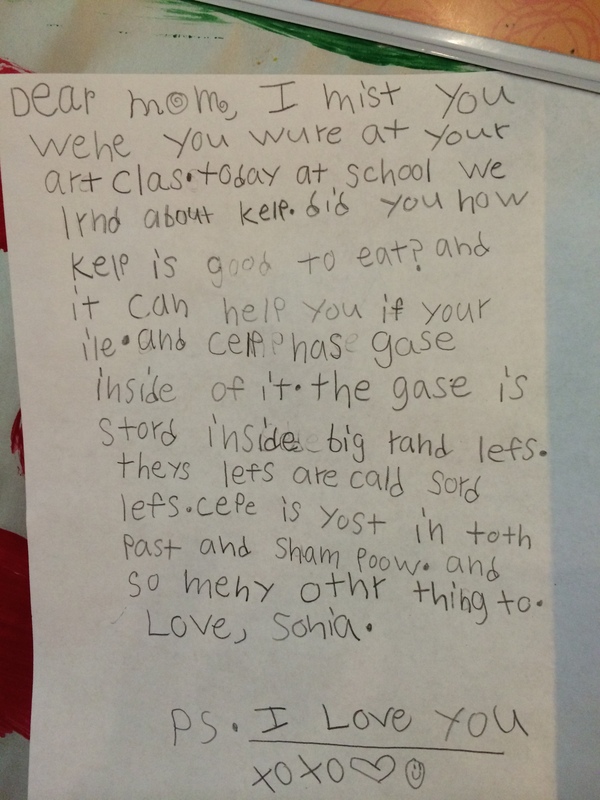 This lesson can be great for the teachers that just want to show their students how they can be a part of real scientific research. After, students use the project data to find their own results and visuals on exoplanets found in Planet Hunters. Something to note, lesson 7 and 8 are pretty similar, but Lesson 8 incorporates a higher level of math for the more adventurous or older classrooms. Lesson 9 either wraps up the guide nicely or can be a fun activity to add to your science class where the students creativity and imagination comes out through designing what they believe a real exoplanet looks like, see summary from first page below. We hope our teachers enjoy using this product! We would love you hear how you have used it and any feedback that could be used in any future development of teacher guides for other projects.